The most desirable secret of picnic-goers worldwide, Le Dîner en Blanc, is returning to Adelaide on November 25th. 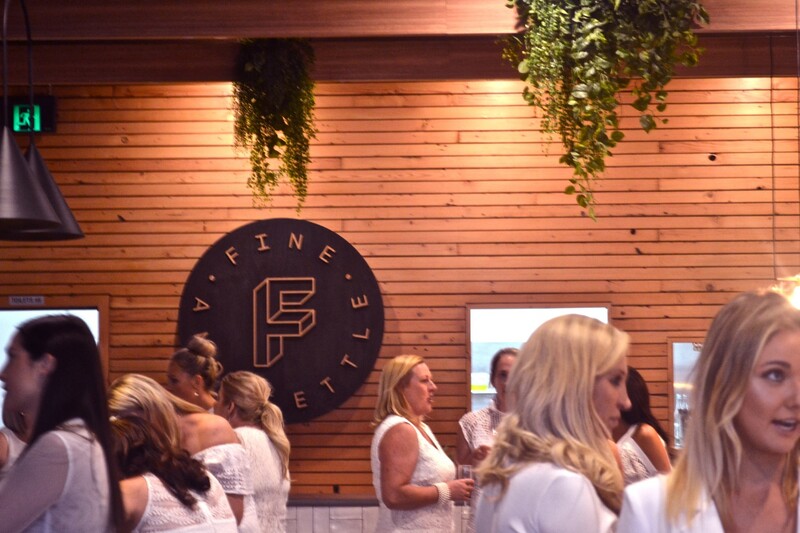 The most desirable secret of picnic-goers worldwide, Le Dîner en Blanc, is returning to Adelaide on November 25th. Le Dîner en Blanc is like an enchanting pop-up fairy garden, with a touch of Parisian glam. It’s the exclusive pop-up picnic that’s become a worldwide phenomenon. Participants dress in head-to-toe white, pack their finest white picnic gear and hop on a bus to a secret location. The mysterious dinner involves over 110,000 participants worldwide, and Adelaide is one of 80 cities participating. Le Dîner en Blanc is almost like a secret society. In started in Paris in 1988 and has since become a unique pop-up feast enjoyed across 6 continents. Invitations are spread via word-of mouth; you need to know someone who has been before in order to secure an invitation. While there are some general public tickets available, they are extremely limited. Despite the exclusivity of the event, this year’s Adelaide event will host 1700 guests and the event will sell out. Nearly 6000 people are on the wait list for this year’s 5th edition. 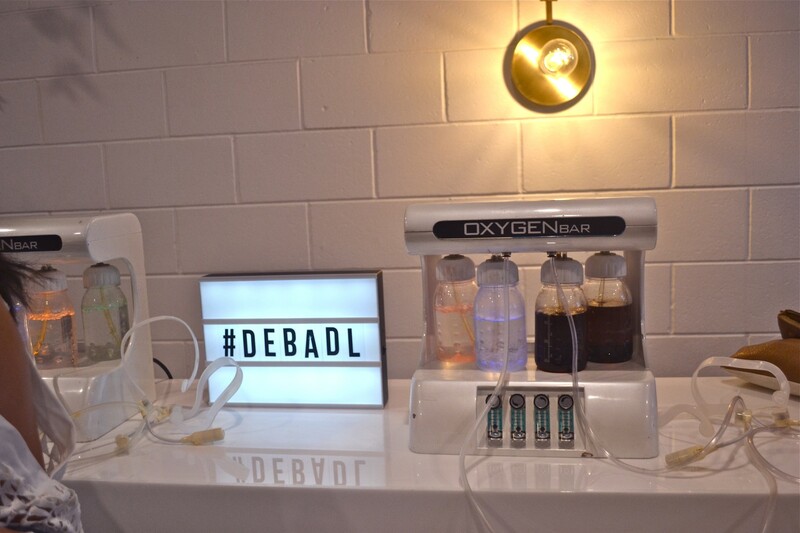 The Dîner en Blanc launch had everything from fine wine and food, even an oxygen bar! 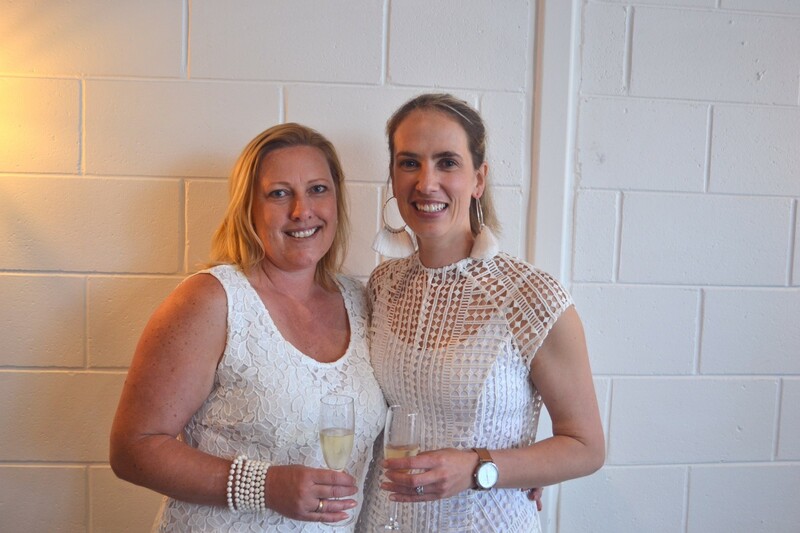 In previous years, Le Dîner en Blanc has been held down Rundle Mall, in Victoria Square, beside the River Torrens, and even in the Adelaide Zoo. 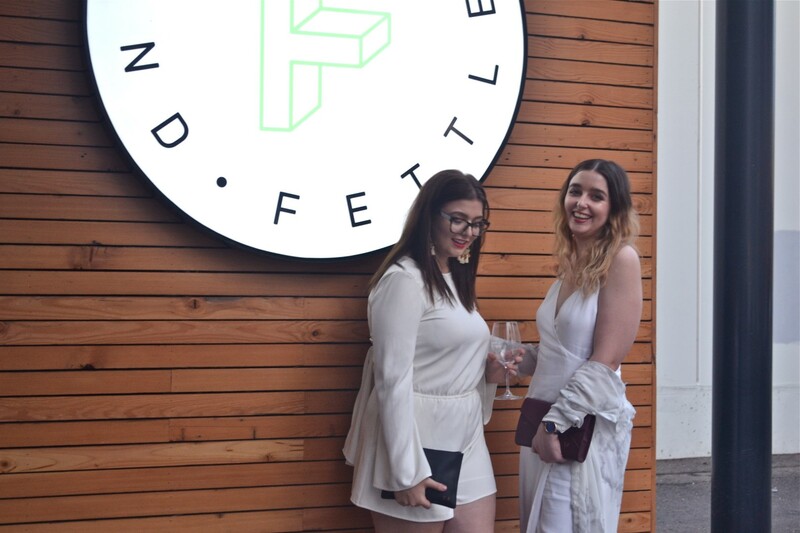 Adelaide hosts Melanie Moffatt and Samanda Smith assured us that this year’s event will be held on grass, but gave no other clues to the top-secret location. That leaves us pondering which Adelaide landmark will play host this year. Could it be the Adelaide Oval? Or perhaps it’s the Botanic Gardens? We can’t wait to find out! 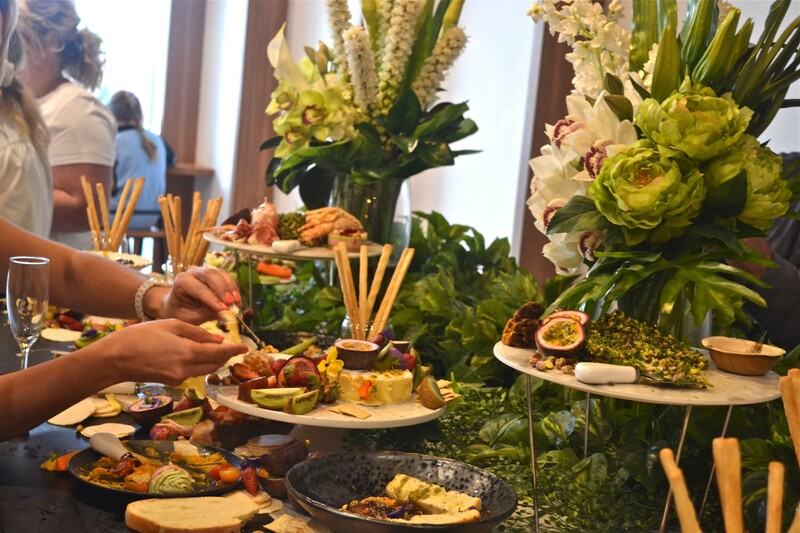 On Tuesday night we were treated to a menu tasting and preview of this year’s event. 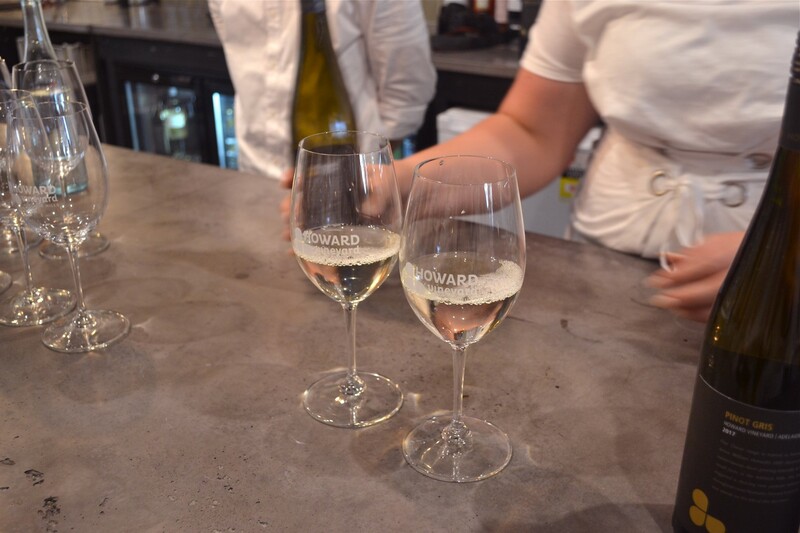 This year, Howard Vineyard and Moet Chandon will be partners of the event and their drinks can be pre-purchased in the e-store. Hampers from Kitchen & Catering by Sam and Gather & Graze by Bre will also be available for pre-purchase. Both hampers include Adelaide Hills brie with fresh honeycomb, fresh fruit, delectable desserts, and ciabatta with house-churned butter. There are both meat and vegetarian options available. Adelaide hosts Mel and Sam enjoying some Moet at the launch. So how does the event actually work? Participants arrive dressed strictly in head-to-toe white; that means no ivory, no off-white, and no beige. Guests must bring a square table with a white tablecloth, white chairs, and white cloth napkins. Guests must also bring their own cutlery, dishware, and glassware. Not to mention food and wine! Once being taken from a location to the mystery event, guests have 45 minutes to set up before the dinner begins. From then, it’s a night of opulence and frivolity under the stars. There is a good reason for the firm event rules. The photos from last year’s River Torrens dinner are nothing short of magical. The stunning visuals that the event produces are nothing short of remarkable. The waving of over 1500 white napkins to signal the beginning of the dinner is visually breathtaking, as is the waving of sparklers to signal the end of the dinner and the start of the dancing. Check out the highlights reel to see last year’s dreamy riverside feast, or check out this year’s Paris picnic for some seriously magical event goals. 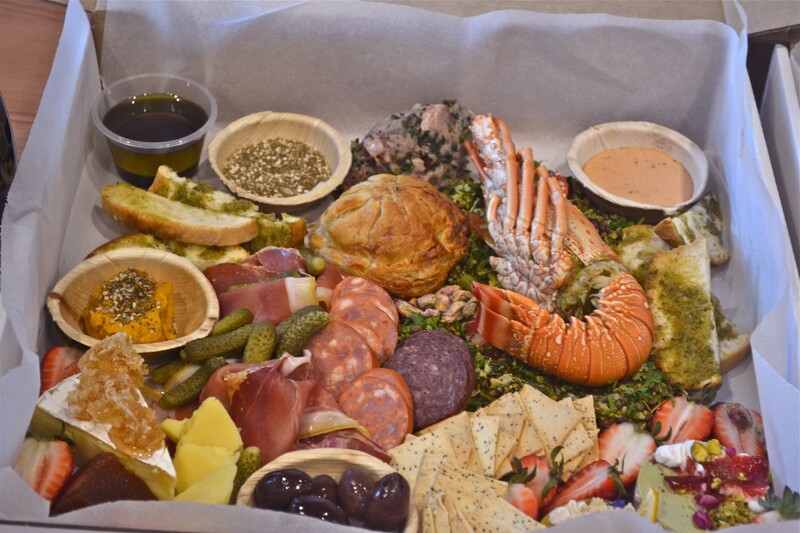 This $90 hamper includes everything from Pacific Lobster to Duck Pithivier! Adelaide has less than 30 days until the event. If you are interested in participating, but don’t have an invitation, head to the Adelaide website for more details. Whichever grassy city arena is chosen for the event, Le Dîner en Blanc is sure to be an elegant night of glamorous revelry. It will be tres chic.